“Existence is an inexplicable vibrant pulsing dance … an indefinable happening, simply happening. Do you live as that? Or do you linger in conflicted fantasies of thought? Awakening from the fantasies doesn’t require a new experience. It’s about seeing clearly what’s already happening. I’m interested in what you think is happening in this moment and what is actually happening. These are not the same. 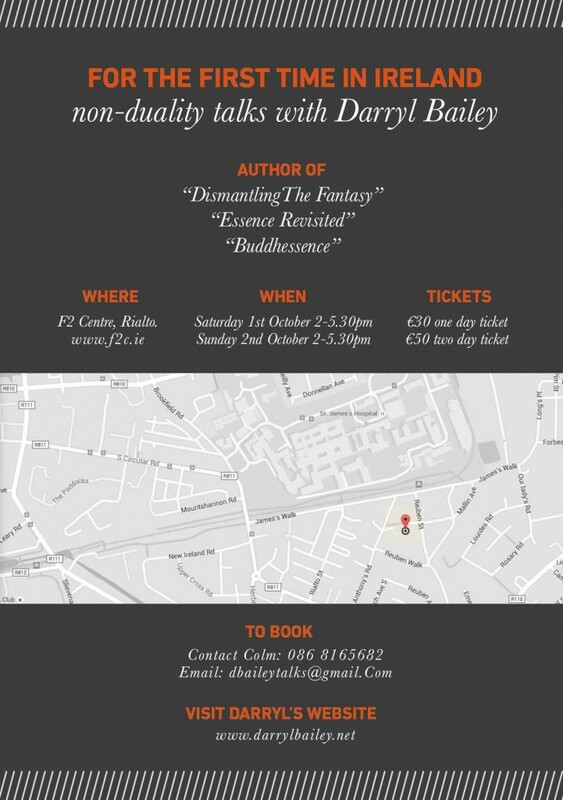 Canadian Author Darryl Bailey is coming for a rare visit to Ireland. His talks on Non Duality and Awakening are of amazing value. Check out below the details on how to book. All Things Alister Event! A Fundraising for a wonderful soul!